Each night, millions of people struggle to fall asleep or stay asleep. While for some this is only a temporary problem, for others this can become severely debilitating. However, according to a recent study published in the journal SLEEP, a single one-hour therapy session can improve the sleep quality of insomniacs by 73 percent within three months. 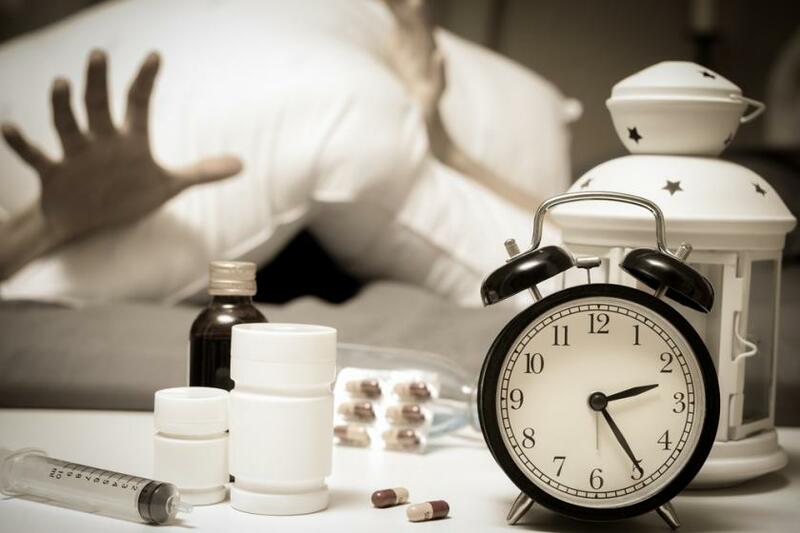 Insomnia is a nationwide problem that has prompted the National Institutes of Health to report that only two treatment options — cognitive behavioral therapy (CBT) and approved hypnotic drugs — have sufficient evidence to be used in the treatment of insomnia. CBT has been shown to be highly effective in treating insomnia without carrying risks of adverse side effects, while still having long-lasting benefits. Although CBT has been studied in chronic insomnia, this remains untested within the context of acute insomnia, or short-term insomnia brought on by stress at work or relationships that lasts for days or weeks. In an effort to test the efficacy of CBT in acute insomnia, Jason Ellis, a professor of Sleep Science in Northumbria University's Department of Psychology and director of the Northumbria Centre for Sleep Research, and his colleagues recruited a total of 40 adults who suffered from insomnia for less than three months and were not currently taking medication to aid their sleep. None of these participants had previously received CBT. The researchers separated the participants into two groups, each with nine males and 11 females. All of the participants used sleep diaries to record quality and duration of their sleep for seven days before treatment and completed the Insomnia Severity Index, which measures the nature, severity, and impact of insomnia. In addition, the first group received a one-hour one-on-one cognitive behavioral therapy session with Professor Ellis and a self-help pamphlet to read at home. The control group did not receive any additional support. Detect- Learn to record quality and duration of sleep in diary. Reporting the intended wake up time and the actual time of waking can help insomniacs recognize their sleeping patterns. Detach- Learn how to control stimulus that could lead to disrupted sleep. For example, using blackout curtains or sleep masks to limit natural and artificial light interference. Distract- Learn to use cognitive control and imagery to distract the mind. Verbally addressing lingering thoughts or concerns before bed can reduce them from appearing in the mind. The findings revealed there was a significant difference between the group that had received CBT and the control group. Within one month of the therapy session, 60 percent of the participants reported improvements on their quality of sleep, increasing to 13 percent (73 percent) within three months of therapy. Meanwhile, only 15 percent of those in the control group experienced improved sleep. The insomniacs in this group were so impressed by the results they asked to also be given the same treatment at the conclusion of the study. The findings provide a beacon of hope for insomnia patients in treating the condition in its acute phase. This could help curb long-term health care, lost productivity, and accidents for patients who go on to develop chronic insomnia. “This becomes more pertinent when the costs associated with other illnesses, such as depression, for which insomnia is known to be a risk factor, are taken into account,” Ellis said. Although brief CBT interventions show promise for insomnia, this still warrants further research to compare CBT with other treatments, like a full treatment course of CBT. The follow-up was only for one month and did not provide insight as to whether this would have a lasting effect or if more sessions would be needed to maintain CBT’s effectiveness. However, the self-help pamphlet could be used as a cost-effective and convenient way to adapt healthy sleeping habits to curb insomnia. In the U.S., 10 percent of Americans have chronic insomnia disorder, which occurs three times per week for at least three months. Those who have one or more of these sleep problems, such as a hard time initiating sleep, struggling to maintain sleep, waking up frequently during the night, tendency to wake up too early with the inability to go back to sleep, and if sleep is either nonrestorative or of poor quality, are more likely to be diagnosed with insomnia. Patients are vulnerable to recurrent episodes. Self-help techniques like avoiding caffeine or alcohol in the evening and exercising at least 30 minutes can be helpful for those with recurrent insomnia. Source: Cushing T, Ellis JG, and Germain A. Treating Acute Insomnia: A Randomized Controlled Trial of a “Single-Shot” of Cognitive Behavioral Therapy for Insomnia. SLEEP. 2015.